Let me make this clear. neither Francois Duvalier nor his son Jean Claude Duvalier created the new Haitian flag. In 1964, the Haitian Dictator Francois "Papa Doc" decided to abandon the Red and Blue flag that has been adopted by haitians for over a century and return to the black and red colors. which was flown for the first time by Jean Jacques Dessalines, the founding father of the nation. 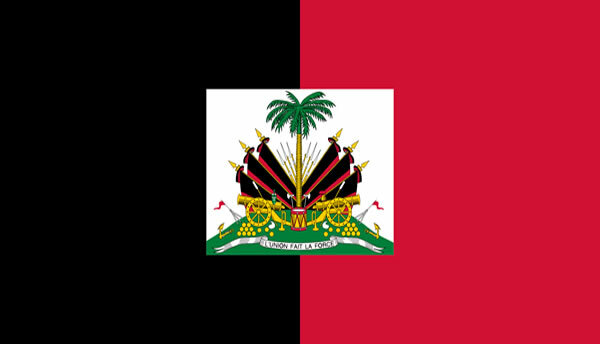 From 1964 to 1986 the Black and Red flag was the official flag of the nation. It would not change until the end of the Duvalier reign, when Jean Claude Duvalier went into exile in France. At that point, it was restored to red and blue.